10 April 2018 South Pacific Passive House Conference | Sustainable Engineering Ltd. 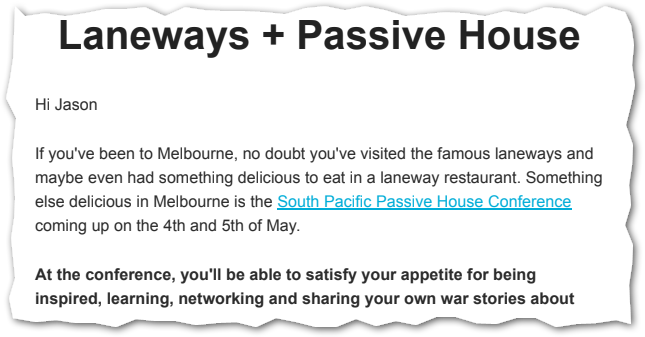 If you missed it, the South Pacific Passive House Conference in Melbourne this year was a fantastic conference. We participated through leading a workshop on advanced PHPP the day before the conference on Thursday as well as attending the conference on Friday/Saturday and participating in a keynote presentation on the last day of the conference (along with Clare Parry, Luc Plowman, and Glenn Murdoch). Epic conference with some incredible presentations.